Well, Mama Jules is home from the hospital! We arrived home yesterday & Jules is feeling great again. We will be on a 10 day course of continued antibiotics & then she is on her own to continue fighting bacteria. We will be trying to take extra good care of her skin & keeping any small abrasions/skin cracks well looked after. If you have a compromised immune system, those pesky bacteria can creep in & make the cellulitis reoccurring. It is very common for people who have had cellulitis to get it back. We appreciate continued prayers for my mom & her health. We may LOVE the nurses at Methodist in the ICU, but we don’t need to see them again for a very long time! 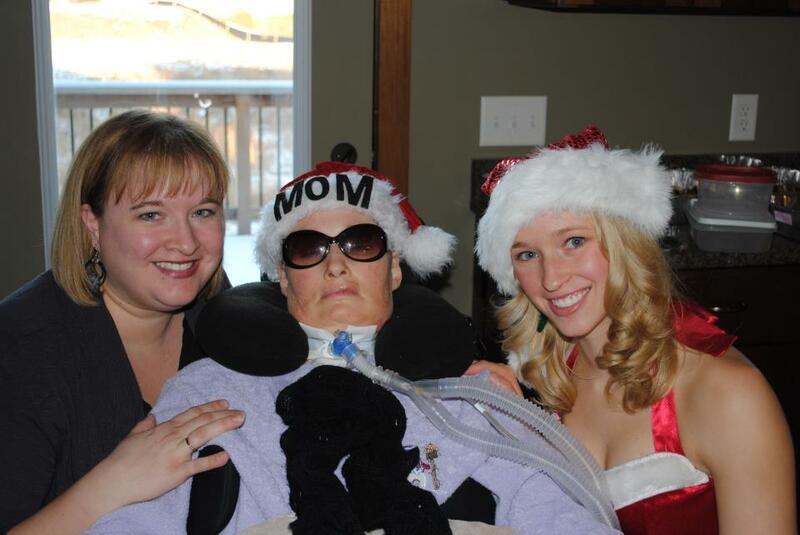 When we first decided heading to the ER was going to be a must, our heart sank a little more because we knew that my mom would probably miss Jenna’s Annual Christmas cookie party on Saturday. This is Jenna’s 5th year hosting it, and my mom goes every year. It is an important part of our Christmas traditions! So, when we found out late in the week Mama Jules would probably be discharged on Saturday……we got a little excited! So, yesterday I had the nurses hunting down the doctor in the morning to give us the approval to leave. It is hard on Saturday…because you don’t have the normal doctor staff. As the hours were ticking away…we cut it close. After all the morning stress….we arrived to Jenna’s in the nick of time & enjoyed a fun-filled afternoon with her friends! It was the perfect way to end a “not so fun” week. Click on the link below if you are interested in seeing a 1 minute video from the party! Mama Jules, Jenna & Myself! I will post more pictures later as they come rolling in! Thank you everybody for checking in with us….and your constant love and support! You have all made our week in the hospital a little more bearable. We also appreciate your prayers!